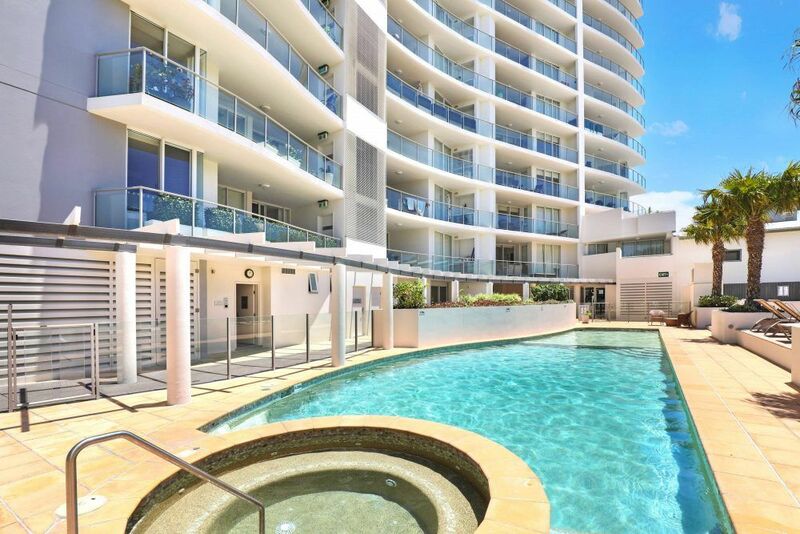 Aspect Caloundra Holiday Apartments offers luxury accommodation in the heart of Caloundra at an affordable price. 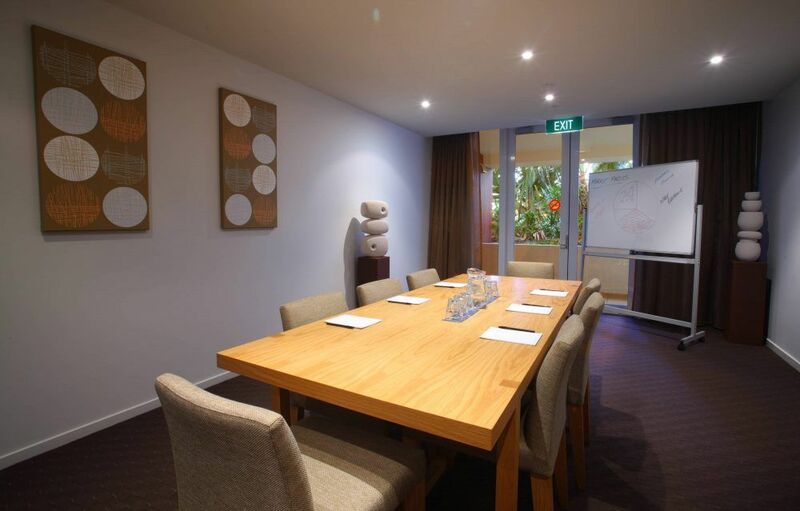 The Sunshine Coast beach resort features apartments with one, two or three bedrooms. 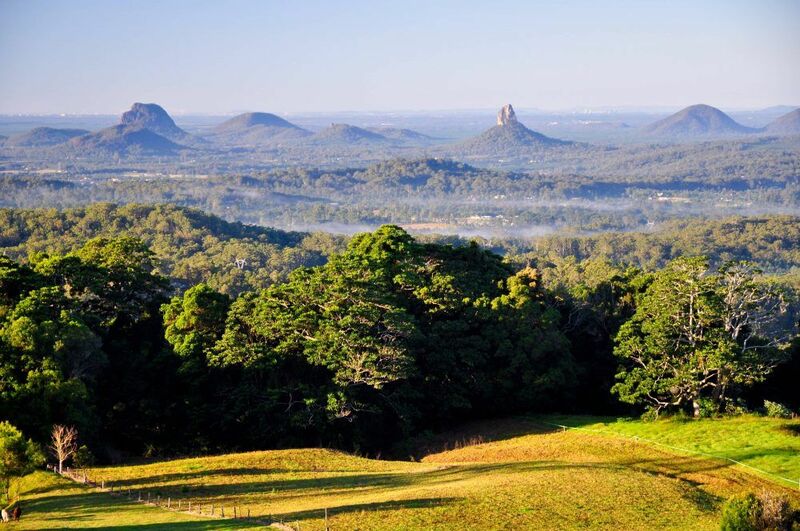 Our accommodation has beautiful balcony views of Bulcock Beach with the hinterland as a backdrop. 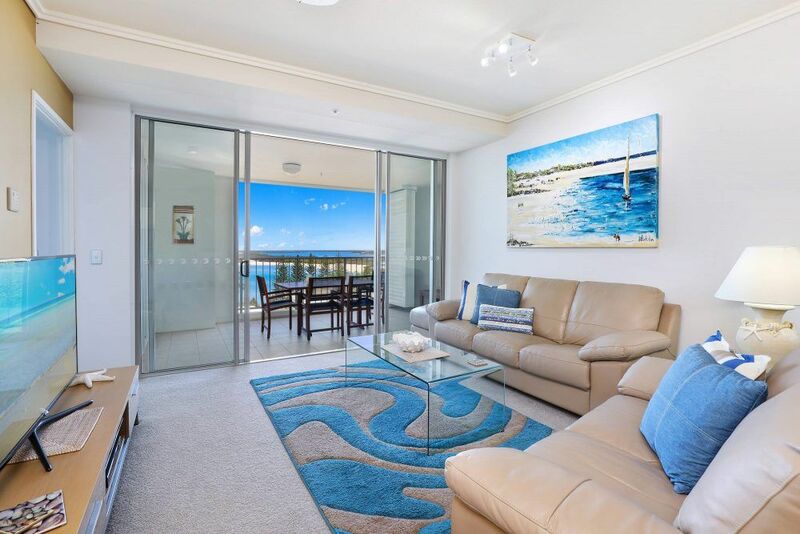 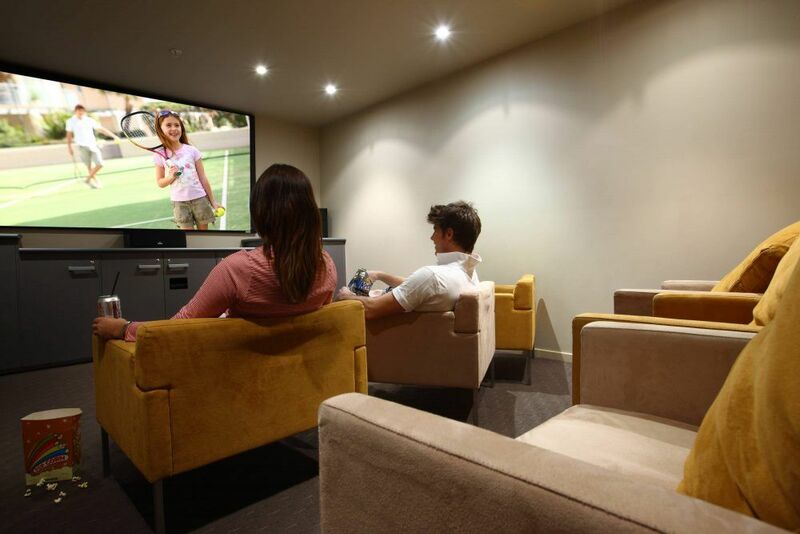 Boasting kilometres of unspoilt beaches, Caloundra on the Sunshine Coast is the perfect place to leave all your worries behind and Aspect Caloundra Holiday Apartments are ideally positioned as a centre for relaxation and activity. 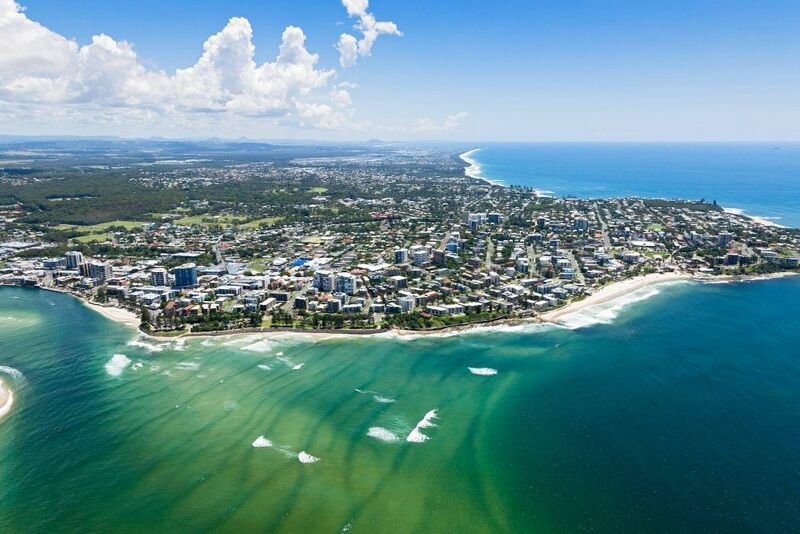 Located an hour’s drive north of Brisbane, the holiday resort Aspect Caloundra offers you a chance to escape the city and immerse yourself in the Sunshine Coast lifestyle. 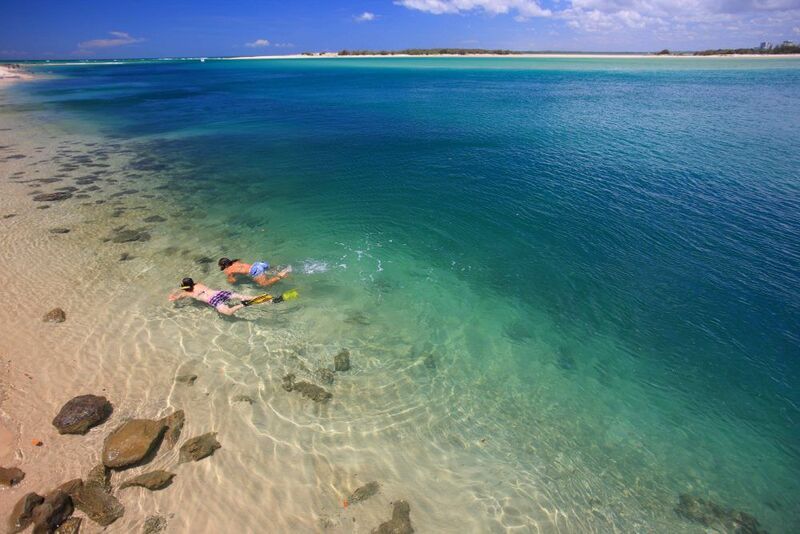 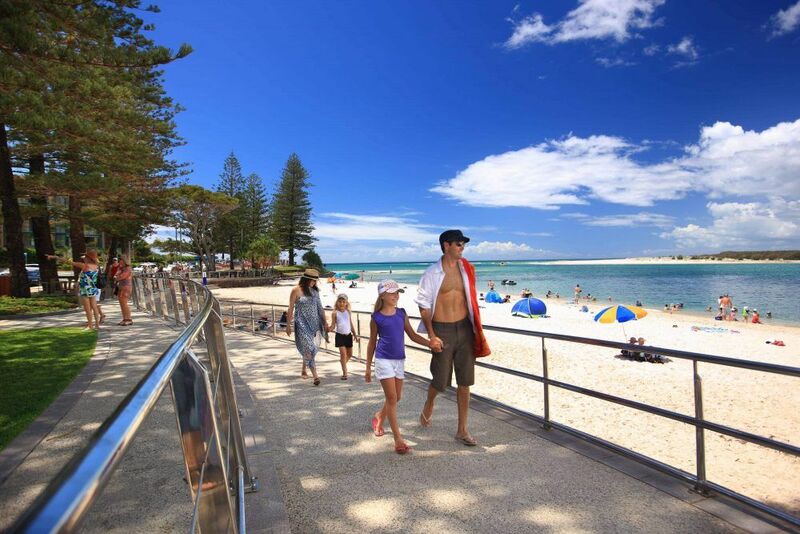 Whether you’re on a romantic getaway, catching up with friends and family or taking a short holiday from the daily grind, there is so much to see and do at Caloundra on the Sunshine Coast. 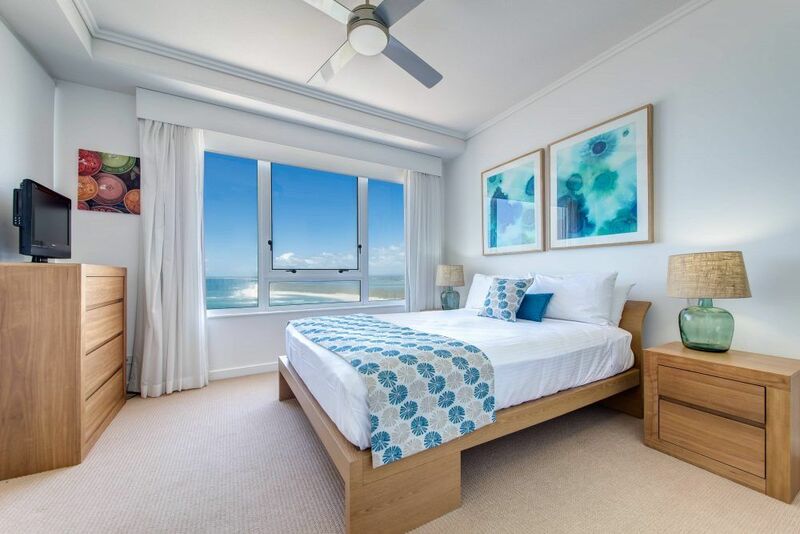 “This well maintained and appointed resort in the middle of lovely Caloundra is within easy walking distance of all you could ever need for a relaxing beach holiday. 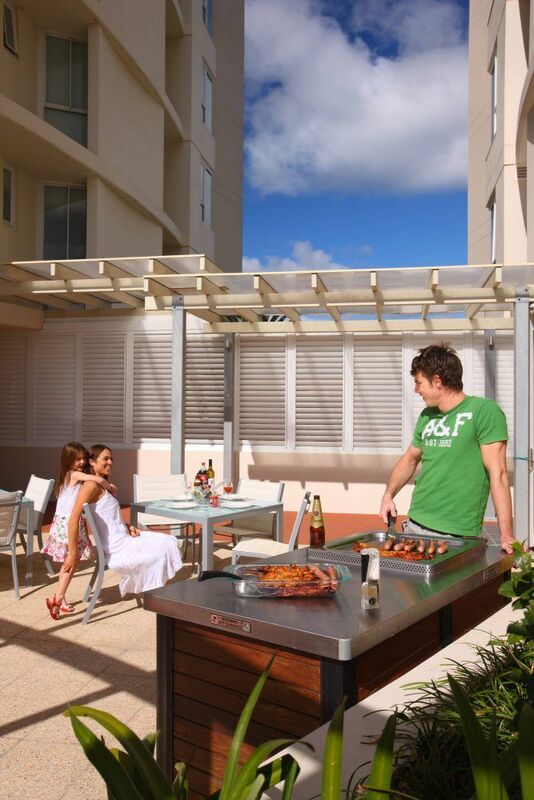 Onsite are 2 places to eat as well as a bottle shop . 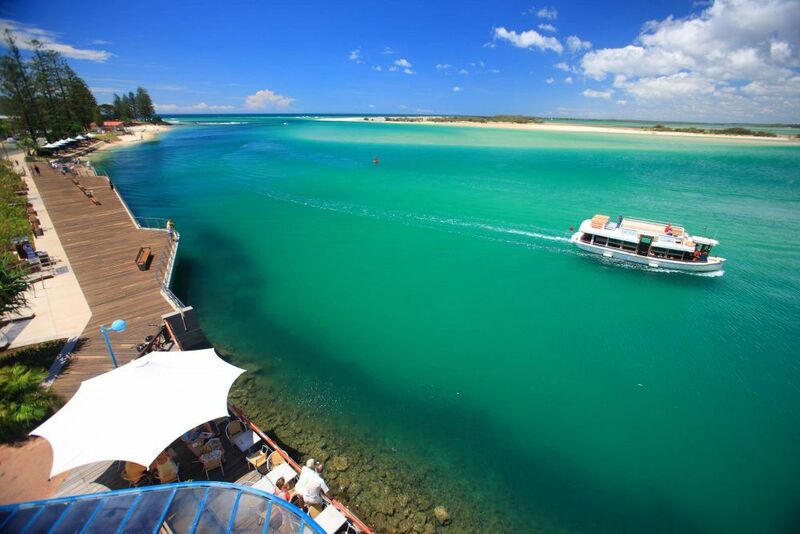 Other restaurants are also within a close walk as are both patrolled surf beaches and children’s Park/Play areas. 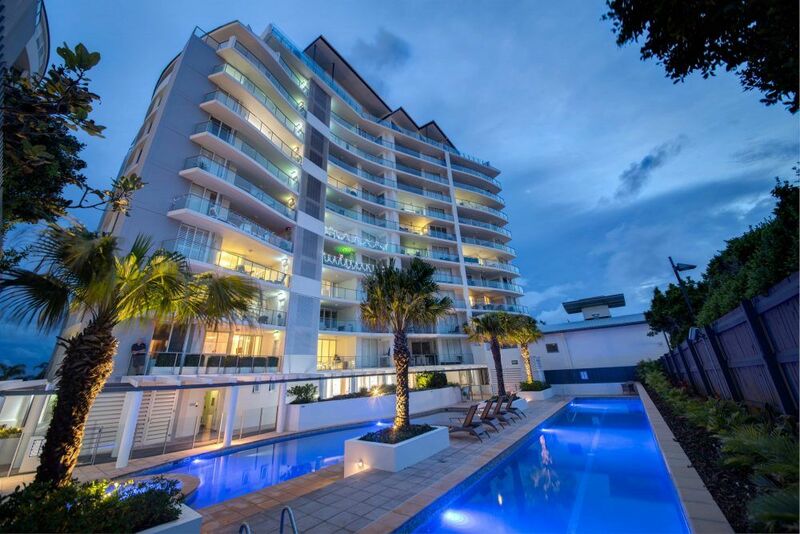 The resort it self has a great pool area including a lap pool, spa and recreation pool. 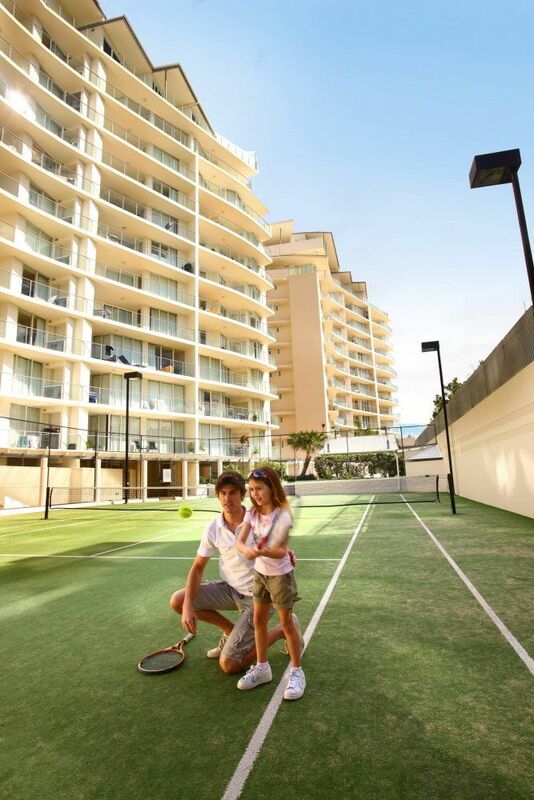 Unlike many similar sized resorts it also has its own tennis court for those wanting a hit. 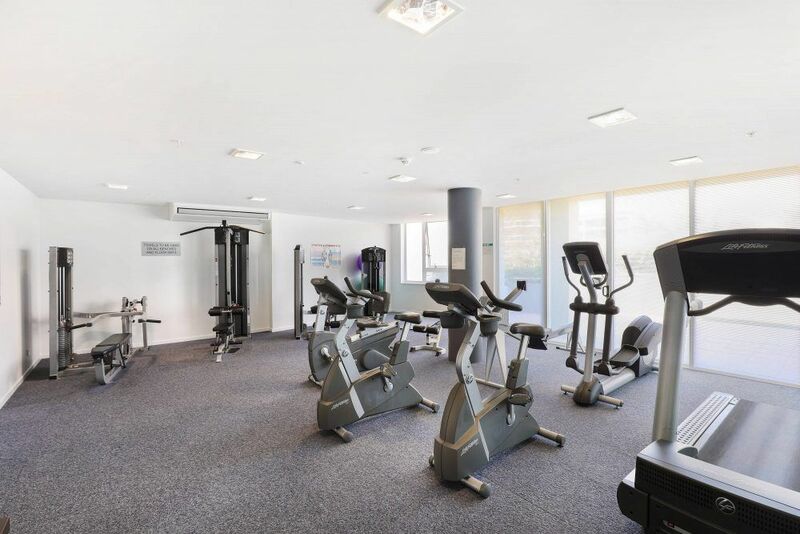 Also a well equiped gym & great sauna!